Providing credential management and encryption integration for instant implementation across all platforms. Echoworx is committed to providing the highest level of security, controls and integrity to support our cloud security services. To that end, we have subjected our business practices to audits covering all aspects of our business in the form of the AICPA/CICA WebTrust Certification and SOC2 Audit. 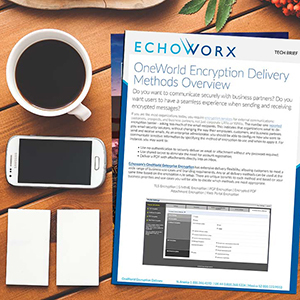 Echoworx provides encryption services in the most secure manner. Cloud-hosted components are deployed and operated in certified, secure tier one datacenters. Service components are deployed into layered physical security zones, with direct public access restricted to the outermost zone only. Front-end access services are separated from mid-tier operational components which are separated from the most sensitive information assets, such as private key material and hashed access credentials. Segregation is implemented using multiple firewalls configured with strict policies. Accesses to services are permitted and controlled via reverse proxy servers ensuring there is no direct access to any secure service components. Echoworx maintains a corporate security policy which is published and communicated via the employee security awareness program. The policy defines the objectives, scope, intent and principals of information security and ensures compliance to regulatory requirements. Echoworx has a business continuity and disaster recovery plan designed to minimize and vastly eliminate outages following interruptions to, or failure of, critical business processes and systems. Echoworx services are fully redundant within any given data center and additionally replicated real time to a disaster facility. Echoworx maintains a recovery site apart from the primary site. Effectiveness of business and disaster recovery plans are tested minimum once a year with appropriate methods. 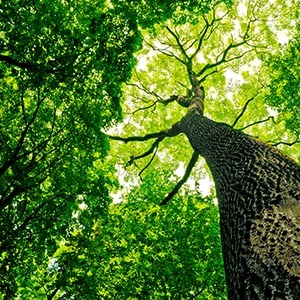 Root Certificate Authority Key Management, including generation, protection and destruction and Subscriber Key Management, including subordinate key generation, storage, backup, recovery and destruction, are performed by a Luna C3 Hardware Services Module (HSM). The device is compliant with FIPS 140-2 Level 3 and has been validated according to the Common Criteria Evaluation Assessment Level 4+ (EAL 4+). Security roles and responsibilities for the Echoworx team are documented in detail in company job descriptions. Verification checks on key Echoworx staff members are performed at the time of job application. Echoworx policies and procedures specify that background checks and clearance procedures are required for the personnel filling the trusted roles, and other personnel, including janitorial staff. All Echoworx employees are required to sign a confidentiality (nondisclosure) agreement as part of their initial terms and conditions of employment. All Echoworx employees and contracted staff receive appropriate training to raise awareness and achieve compliance with corporate security policies. This training is aligned with clear role based compliance and training requirements. A formal disciplinary process exists and is followed for employees who have violated organizational security policies and procedures. Echoworx policies and procedures specify the sanctions against personnel for unauthorized actions, unauthorized use of authority, and unauthorized use of systems. Appropriate and timely actions are taken when an employee is terminated so that controls and security are not impaired by such an occurrence.